Visitors in Shangluo, a city in northwestern China, are testing their nerve on a glass slide and glass-bottom bridge. 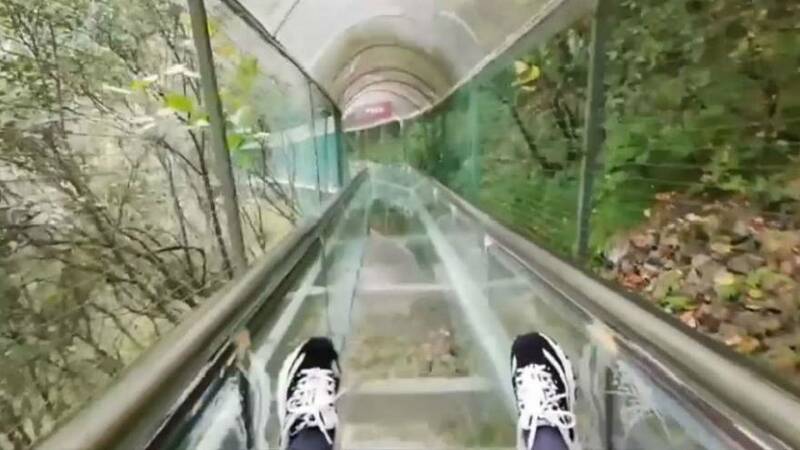 The local tourist attraction has proved popular among thrill-seekers, who are invited to slide down a transparent 480-metre-long tube that takes them through the surrounding trees, or take a walk over the 150-metre-long bridge. Zhang Bin, who is in charge of the attraction, said visitors are typically in a “relaxed and happy mood”. "You won't feel scared if you don't look down," one tourist said. China is home to dozens of glass walkways, bridges and sightseeing platforms. The world’s longest glass bridge, at 488 metres, opened late last year in the province of Hebei.